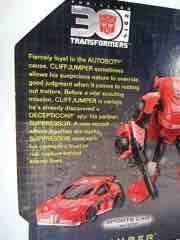 Other: More Cliffy than Bee-ey. 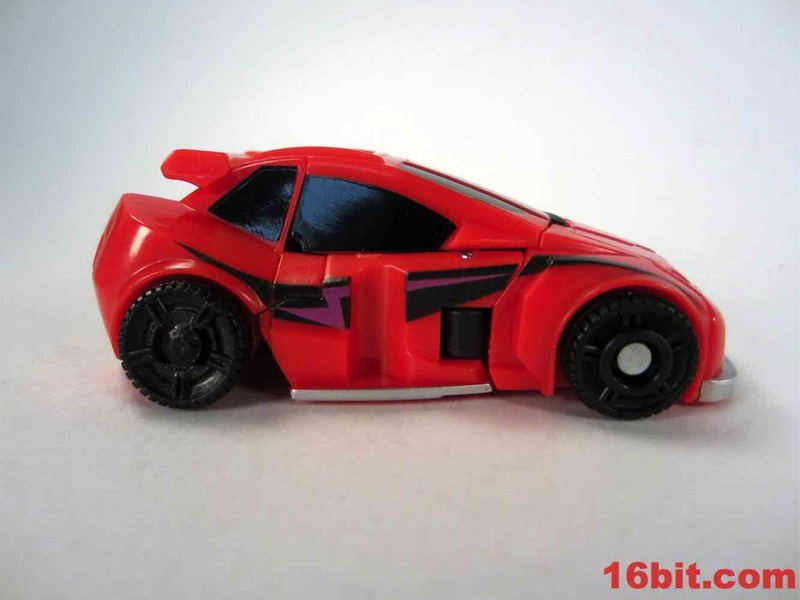 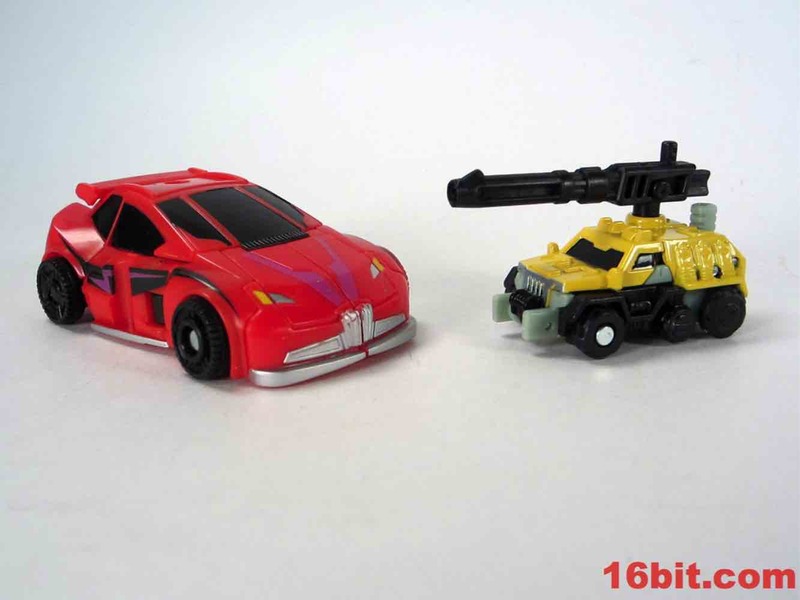 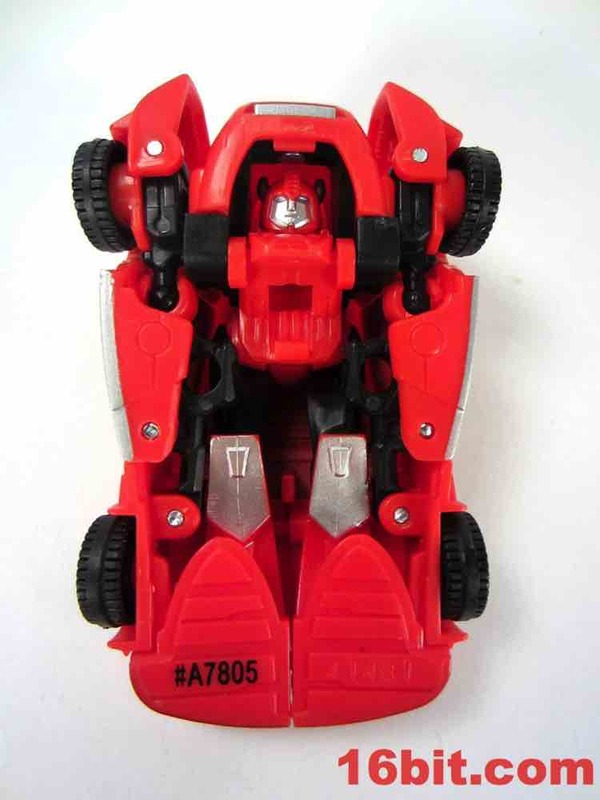 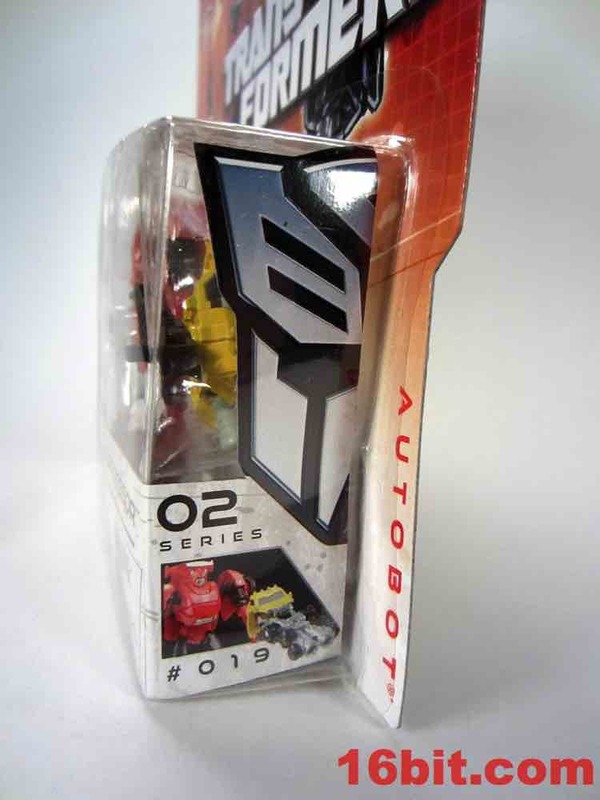 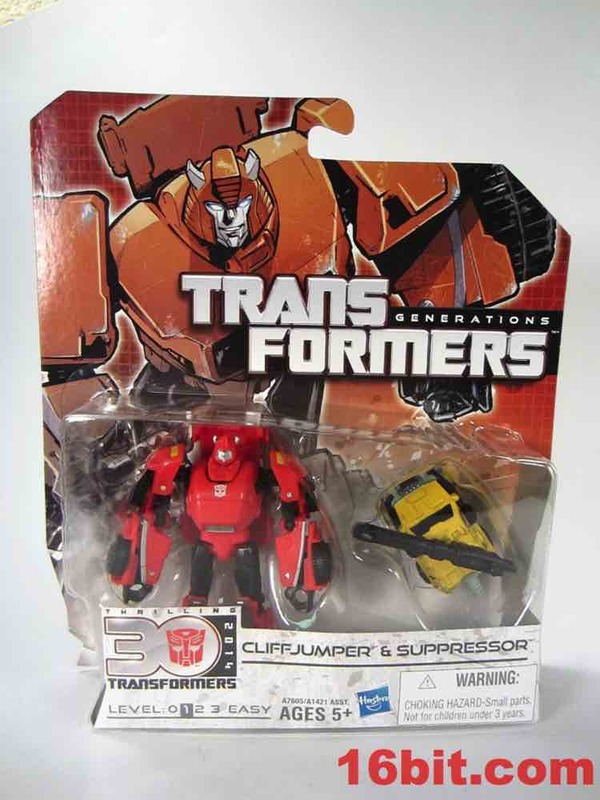 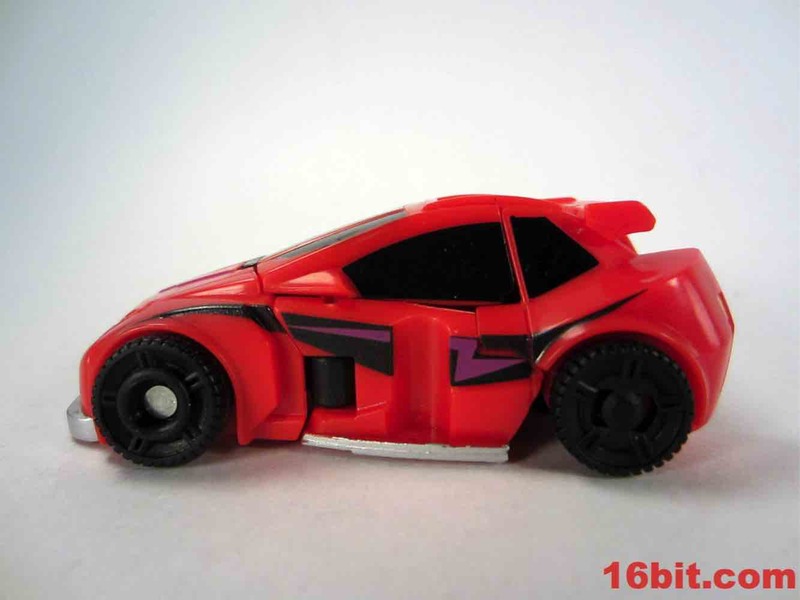 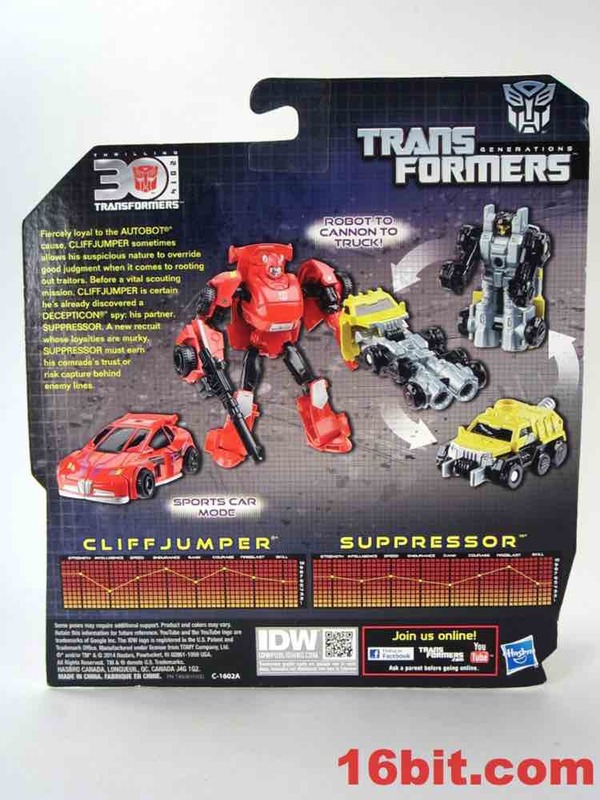 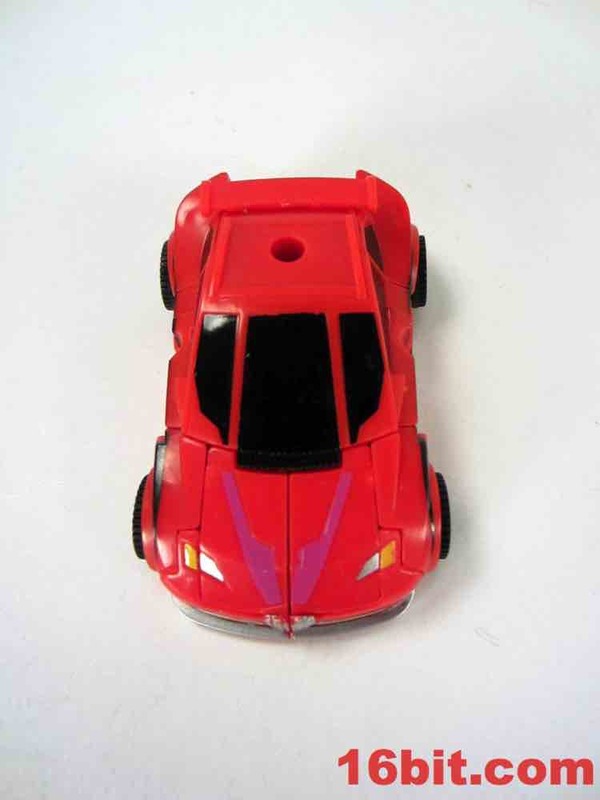 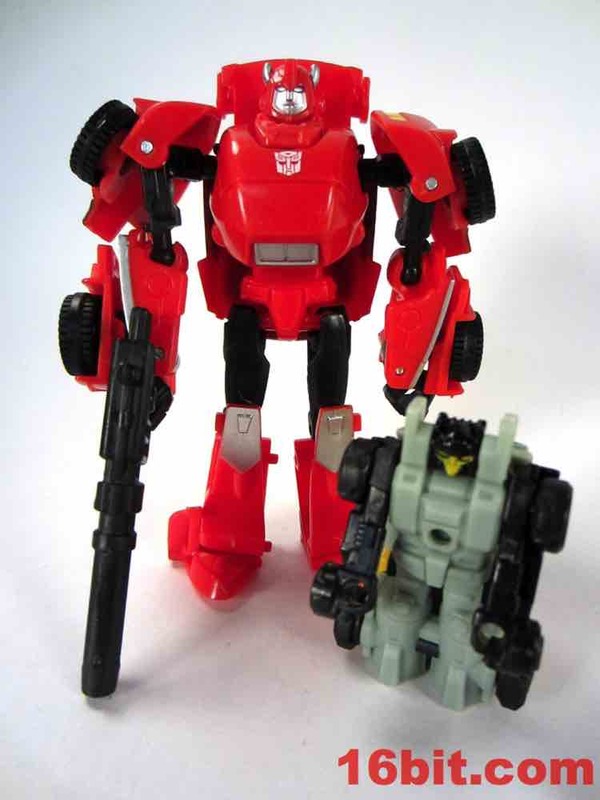 Over the years things change - while Bumblebee was originally a unique mold, Cliffjumper with Suppressor continues a relatively recent tradition that is as follows: a red Bumblebee equals Cliffjumper. 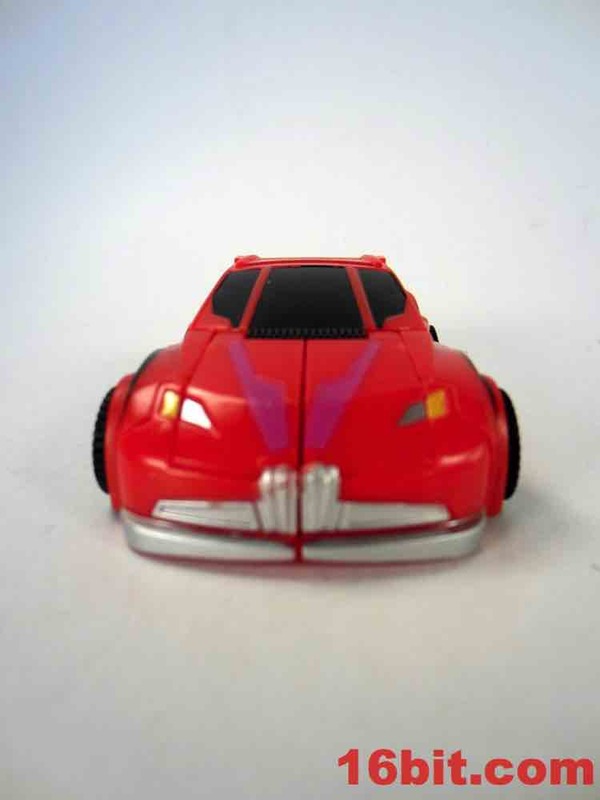 Sometimes they get a new head, but usually it's just new coloring. 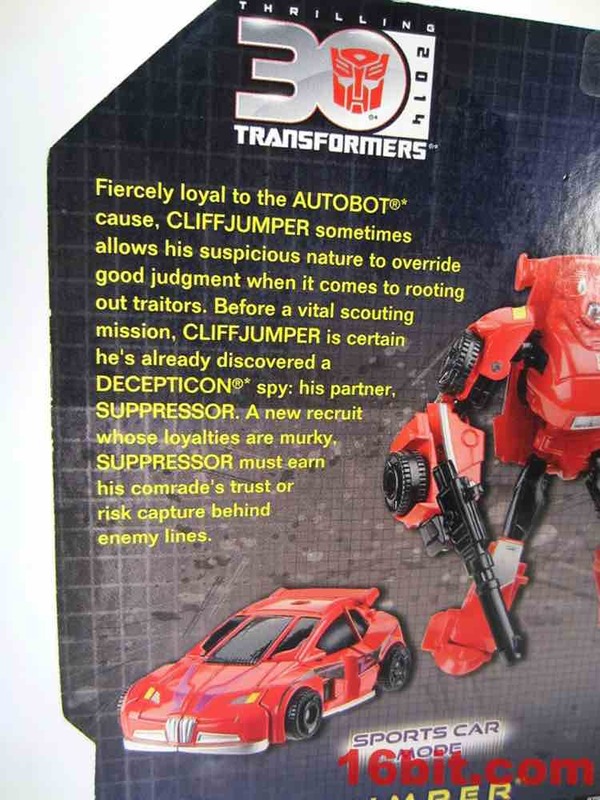 In this case, I would argue the figure actually looks better as Cliffjumper than Bumblebee - making this another swell repaint. The toy is a repaint of a 2013 Bumblebee that seems to pop up over a year later, and this is its first time as a non-Bumblebee character. The robot mode has silver horns - which really add a lot to the head - plus a heaping helping of silver paint on his knees. 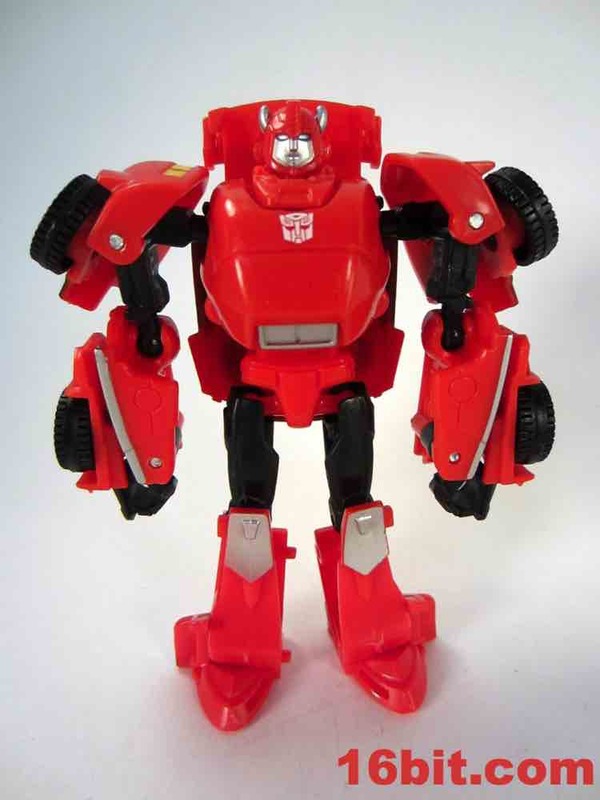 It's more colorful and lively than his predecessor, with a white Autobot symbol because red would probably be somewhat pointless. 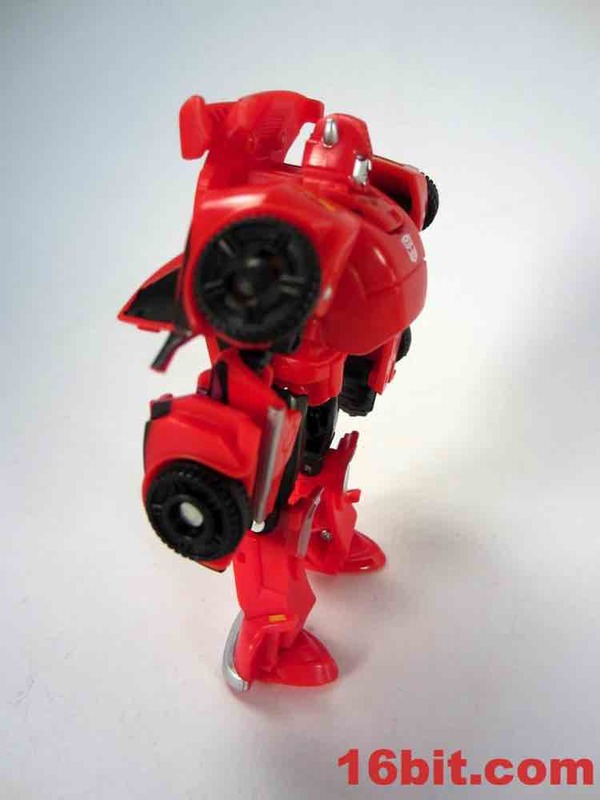 Articulation is good, although not exceptional - that head isn't going to do much turning, and the arms are slightly limited thanks to panels hanging off the back of the shoulders. 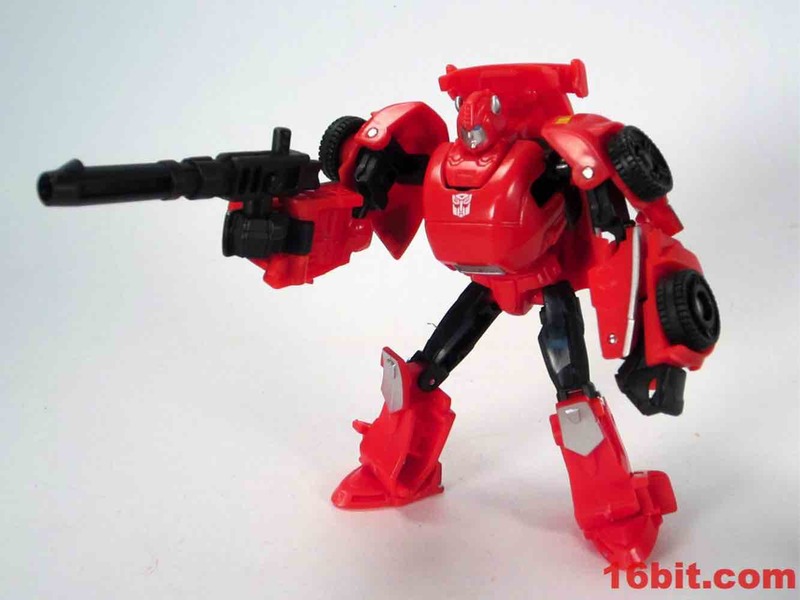 He's still pretty great, particularly since the somewhat psycho sniper now has two guns to play around with - both of which were originally packaged with another toy. 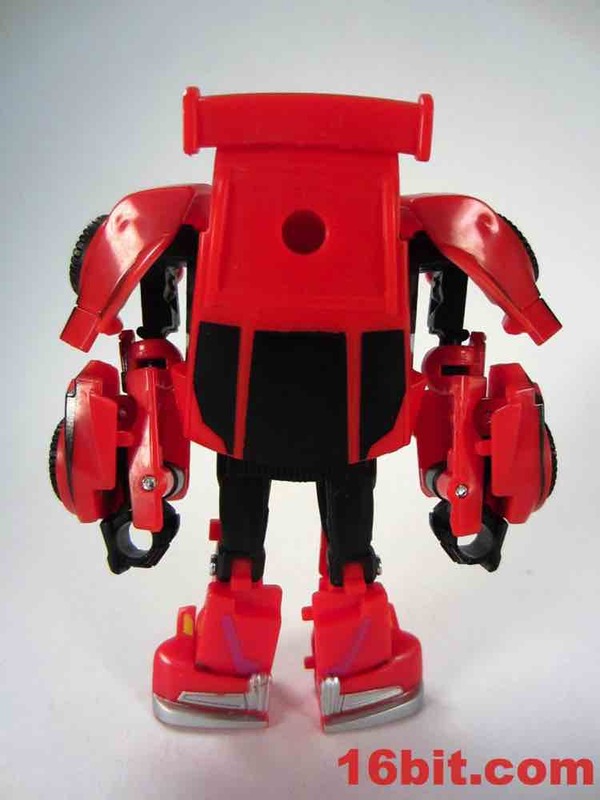 Transformation of this 4-inch tall robot is pretty simple - the fists rotate in, the arms become the sides of the car, the head rotates in, and the feet fold down. Presto - you get a red car. 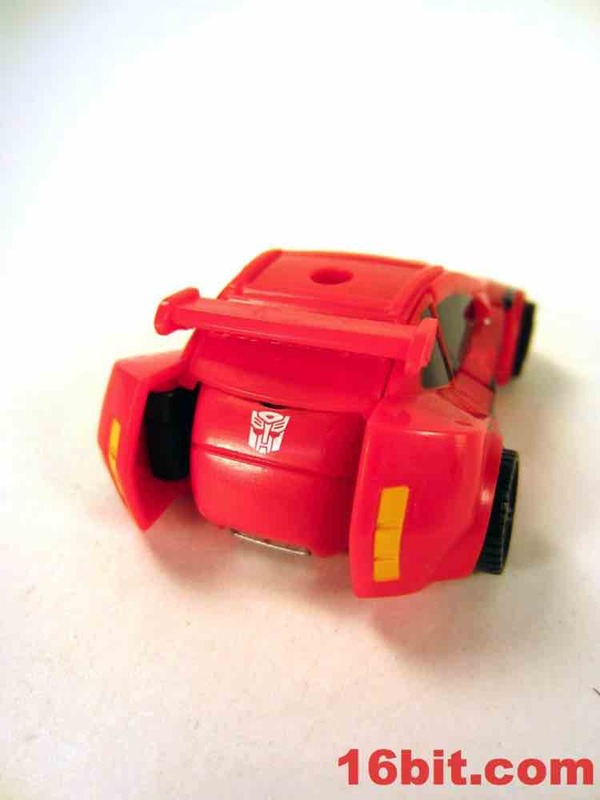 The wheels aren't very useful and despite having the ability to spin seem mostly ornamental - they're not really great rollers. 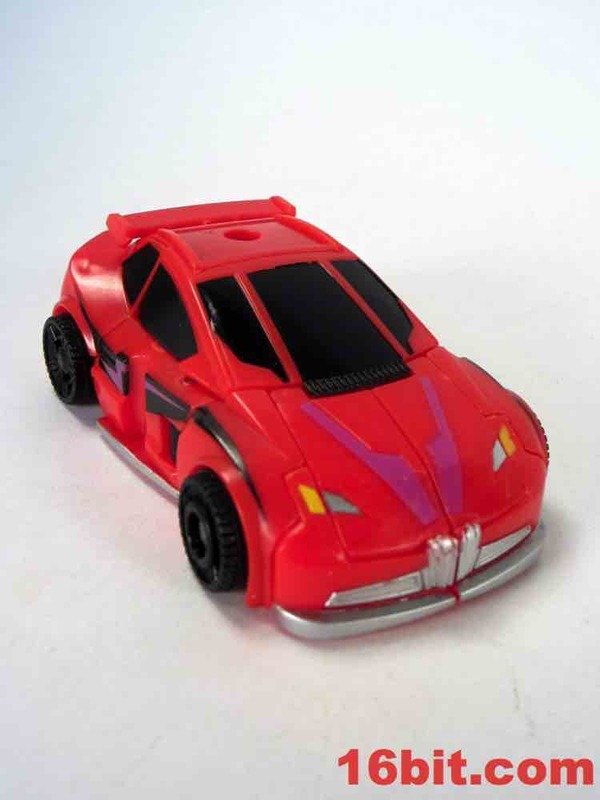 I love the deco because it vaguely reminds me of the M.A.S.K. 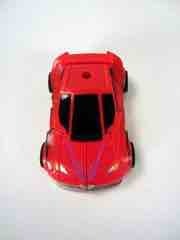 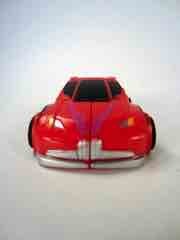 Thunderhawk vehicle frm tom the 1980s with its red body and purple deco on the doors. 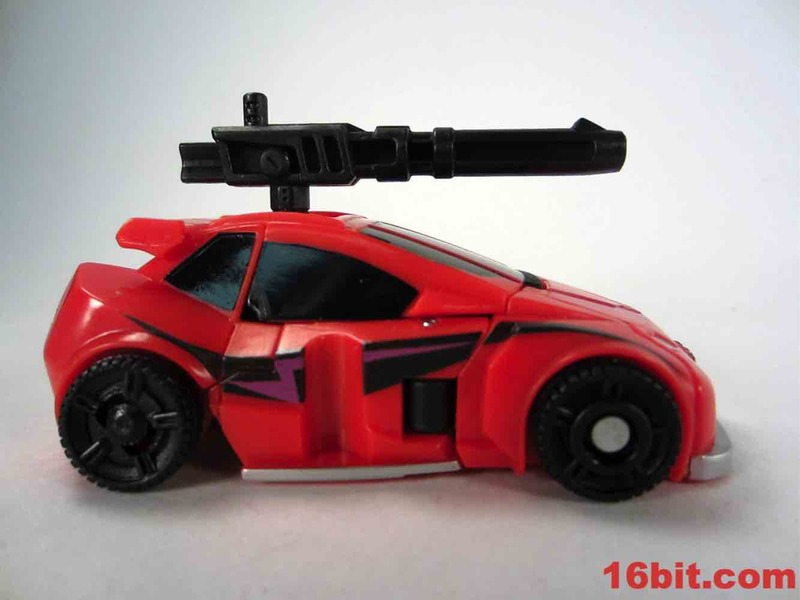 While it can't fly or drop bombs, you can mount a 5mm weapon like the included blaster or Suppressor in gun mode on the roof, which is nice. 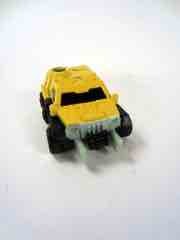 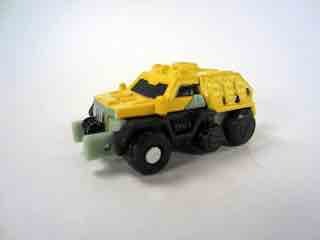 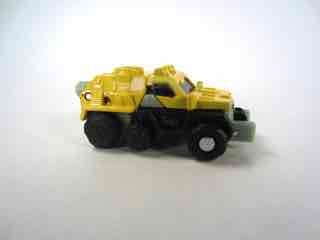 Some vehicle alt modes don't even have that much in terms of play features. 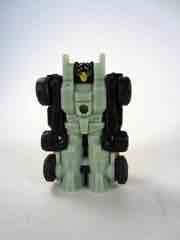 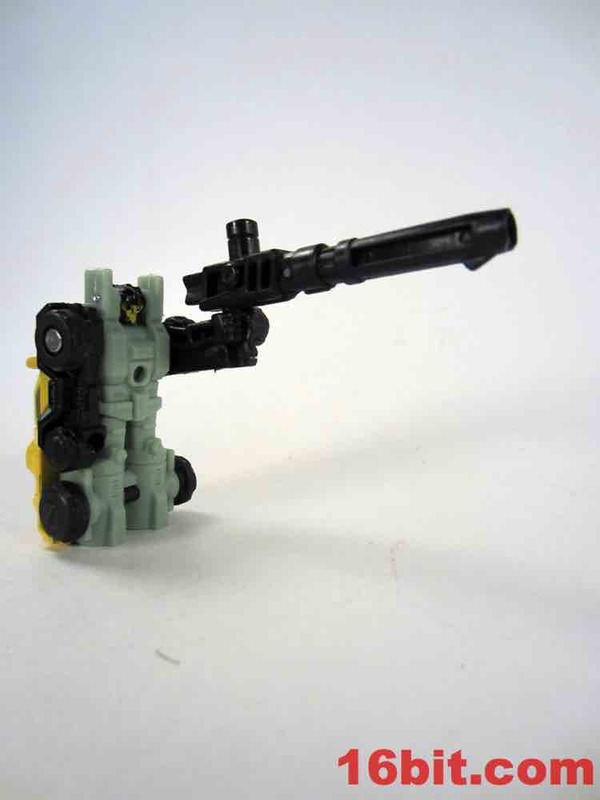 Suppressor is a redeco of Roller, with a lot more paint. 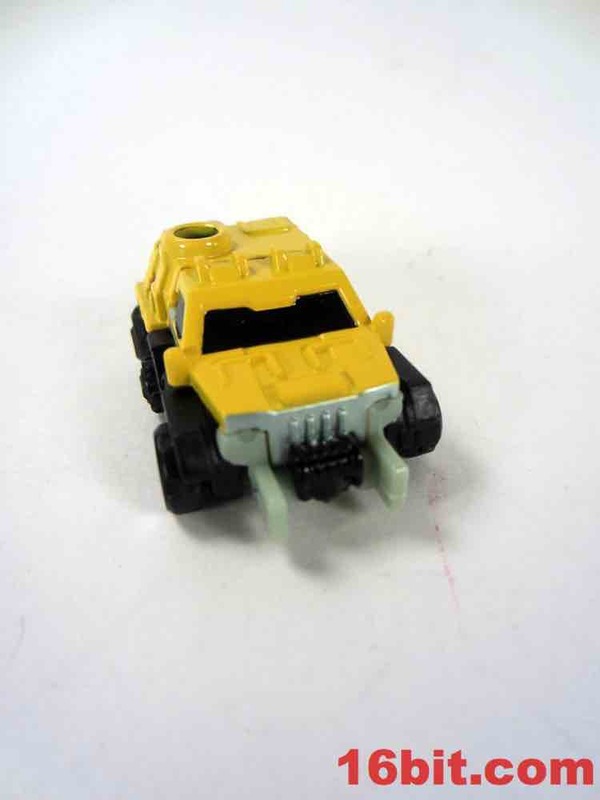 The yellow parts are entirely painted, with a silver girlle and some black bits. 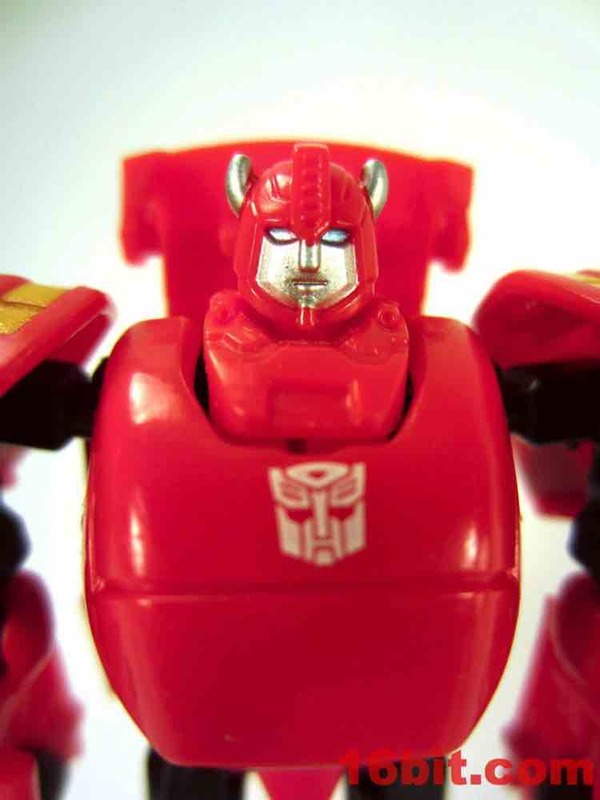 It makes the toy look a little sharper, and transformation is as simple as always. 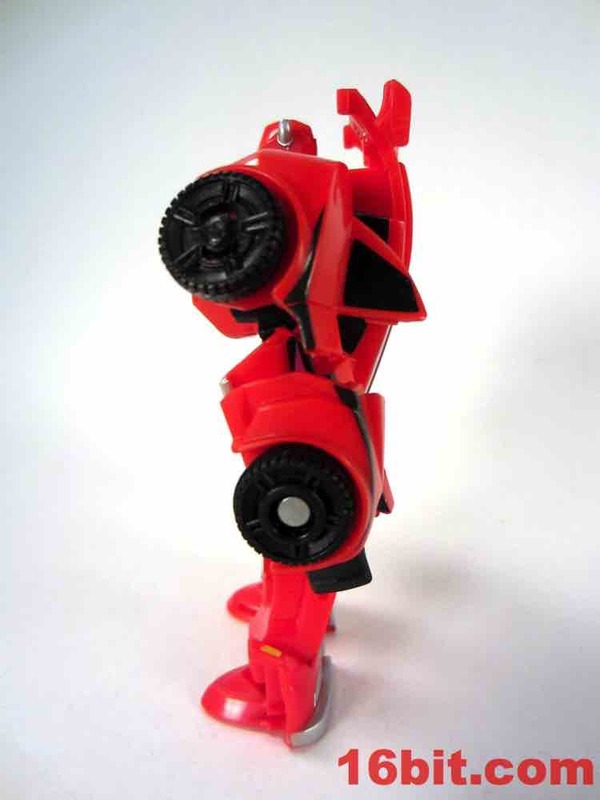 Take the truck, and stand it up on the back end and presto - robot. 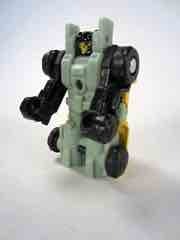 He has articulated arms which can hold the big gun, as it also sports a 3mm peg. 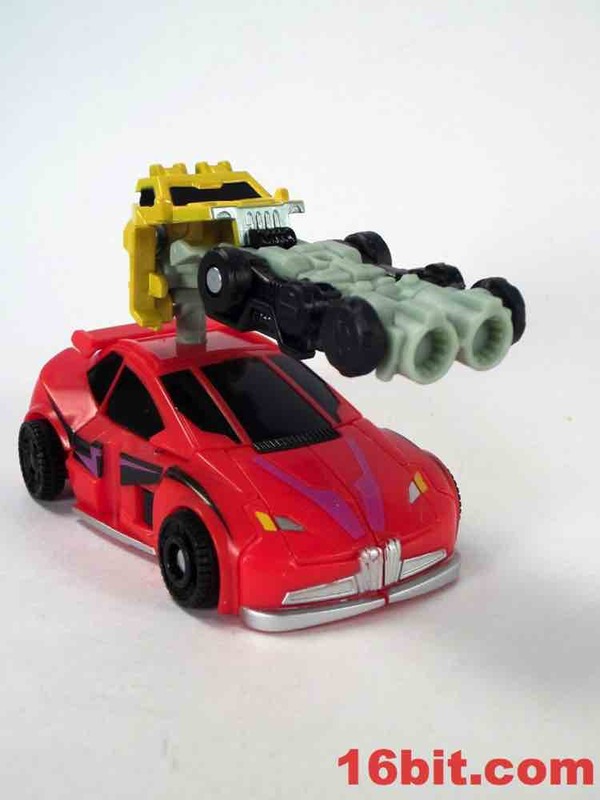 To get a blaster, rotate the 5mm peg on Suppressor down and fold down the back of the truck to get a giant, dual-blaster thing that seems more appropriate for a larger toy. 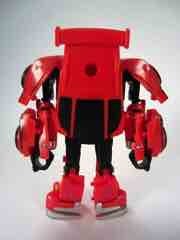 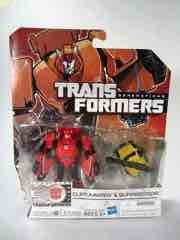 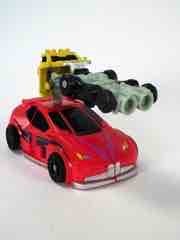 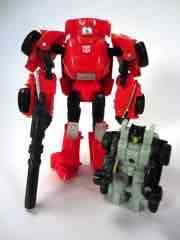 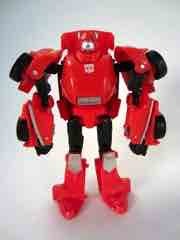 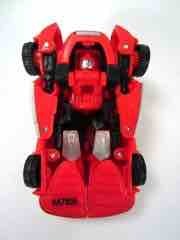 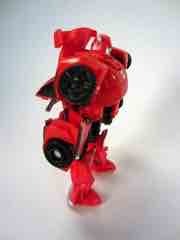 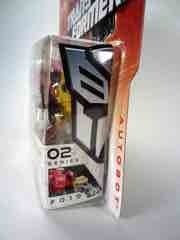 Or for Cliffjumper, since he's kind of crazy abotut weaponry. 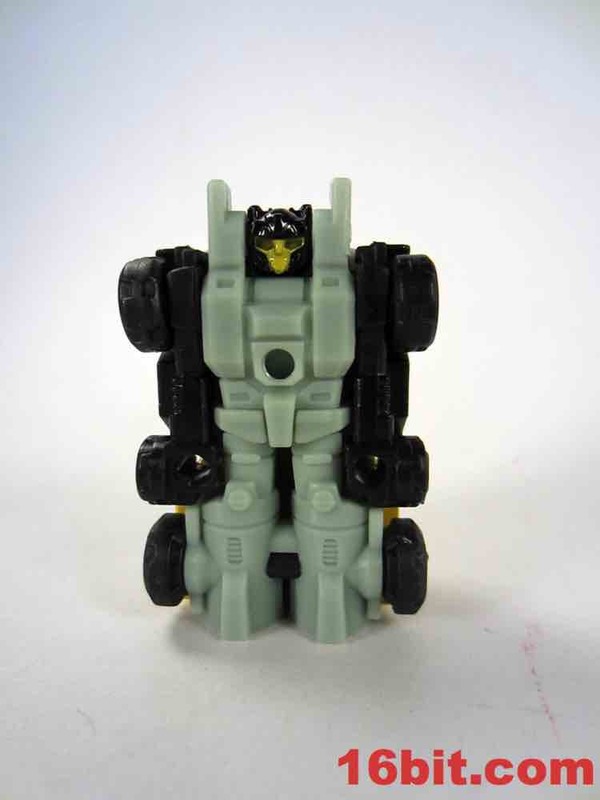 Unlike Spinister the name doesn't seem to come from an obvious existing source, but he does hold a resemblance to Ironworks and Erector from the late 1980s. 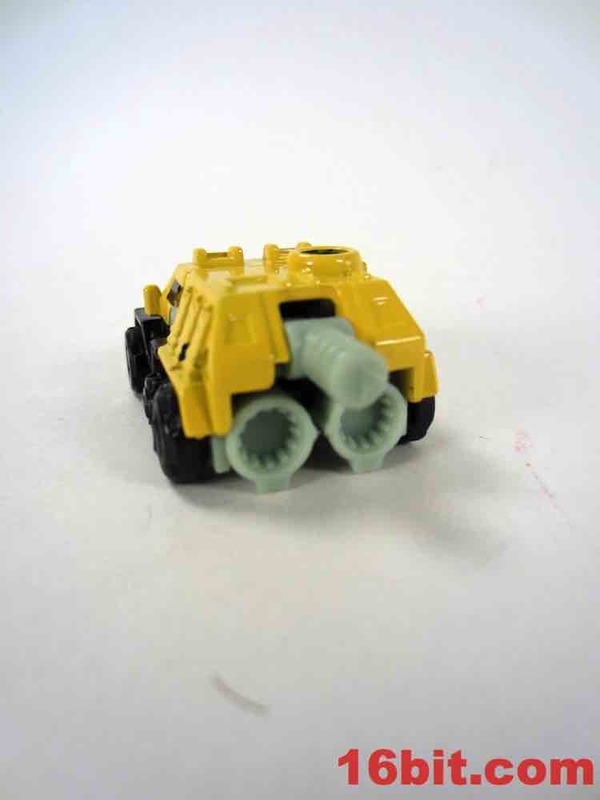 If you ask me, this is the better take on the mold - we've got so many Bumblebees that this may not be refreshing, but it does look cool and no parts fell off while I was playing around with it. That may not sound like high praise, but trust me, it is - it's fun, it's small, and it's relatively cheap. You can't get much better than that!